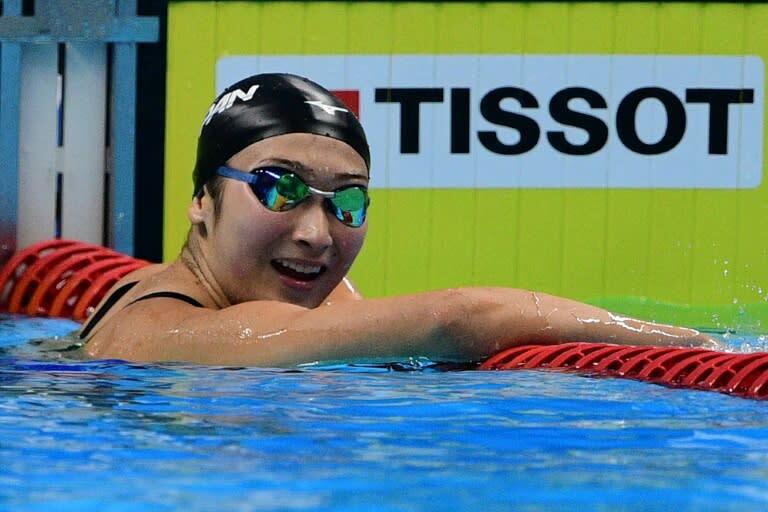 Japan's golden girl Rikako Ikee stormed to a record sixth Asian Games swimming title on Friday, marking a handful of other firsts for good measure. Competing for elbow room on the final evening, China's colossus Sun Yang crushed the men's 1,500m to finish with a fab four individual freestyle titles in Jakarta. Japan and China finished with 19 swimming gold medals each after a titanic struggle over six days, with the Japanese shading the overall medal count by 52 to 50. But Ikee stole the show by edging the 50m freestyle sprint by a fingertip from China's Liu Xiang, clocking 24.53 seconds to become the first woman in any sport to scoop six gold medals at a single Games. The 18-year-old allowed herself a rare display of emotion, raising a fist as she soaked up the applause of her besotted Japanese fans before shedding a few tears as the enormity of her achievement sank in. "I really hate losing, I probably won that more through sheer willpower," said Ikee, who had already snaffled gold in the 50m fly, 100m fly, 100m free, 4x100m free and the 4x100m medley. "The last few minutes hurt but I was just focusing on the touch and luckily I hung on. I used pretty much every last drop of energy." Ikee, who is poised to be the face of the 2020 Tokyo Olympics in her home city, finished with eight medals in total -- also a joint record. North Korea shooter So Gin Man pocketed seven gold medals and eight overall in 1982. "I've felt physically broken at times here," confessed Ikee. "But I told myself it's a state of mind and I was happy to finish strong. "I'm very proud of that," she added. "The key will be how to convert this performance into more gold medals at the world championships and the Tokyo Olympics." Sun's fourth gold medal was as close to a banker as it's possible to get in sport. The three-time Olympic champion duly won the 1,500m for the third straight Asian Games to add to the 200, 400 and 800m titles he bagged earlier in the week. But the 26-year-old waited until the 1,300m mark to hit the front to win in a pedestrian time of 14:58.53 -- almost half-a-minute outside his own world record. It mattered little to Sun's adoring army of cheerleaders, who broke into squeals as their hero climbed from the pool and waved in their direction. "It's not easy to dominate an event for three Asian Games," said the Chinese juggernaut. "I was exhausted and even thought about pulling out of tonight's race but I toughed it out," added Sun. "I have dreams for the Tokyo Olympics and I know I have to work 200 percent or even 300 percent harder." Japan's Yasuhiro Koseki completed an Asian Games breaststroke treble in the 50m final and perhaps ushered Olympic champion Dmitriy Balandin into retirement. Koseki clocked 27.07 with Kazakhstan's Balandin, who won the 100m title in Rio, two years ago, taking bronze in 27.46 behind China's Yan Zibei (27.25). Frustrated by injury and poor form, Balandin has admitted he may hang up his goggles and left the pool sobbing after the medal ceremony. Meanwhile, China's 16-year-old sensation Wang Jianjiahe won the 400m free final in a Games-best 4:03.18 to secure a hat-trick of individual titles. Backstroke king Xu Jiayu collected his fifth title as China's victory in the final event, the men's 4x100m medley, tied Japan's gold medal total.